HELLO! 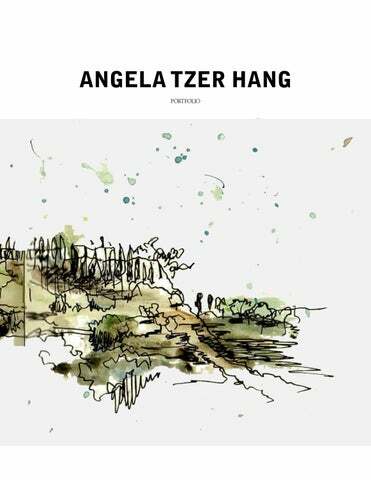 My name is Angela Tzer Hang. I am a designer + a maker. I have a strong interest in materials and the effects they have on the user experience and built environment. In 2015 received a Master of Architecture from the Rhode Island School of Design. I also hold a Bachelor of Applied Arts in Interior Design and a Bachelor of Arts in Architectural Studies. STUDIO DUAL,ARCHITECTURAL DESIGNER Providence, RI | September 2015 - May 2017 •Powder House, Somerville, MA | SD •Five Star Home # 2807, Johnston, RI | SD | CD •Capital Records, Providence, RI | PD | SD •Wilbury Theatre Group, Providence, RI | PD | SD RISTAC SHELLFISH HABITAT PROJECT, RESEARCH ASSISTANT | CONTRACTOR Providence, RI | June - August 2014 | June 2015 August 2015 •Assist research team investigating material and formal parameters of sculptural shellfish habitat. •Research and choose materials, create test forms, coordinate with scientists at the shellfish hatcheries and to initiate preliminary site analysis and design parameters. DESINE - LAB, INTERN Providence, RI | June - August 2014 •Assist in vendor bidding, material resourcing and website/blog management. •Assist in construction of the Central Falls Community Pavilion. TRAMMELL-GAGNE SHOWROOM, INTERN Seattle, WA | July 2012 - Sept 2012 •Assist sales staff, showroom, owner, manager with Interior Designers and Architects with daily activities such as pulling fabric memos, inventory, stock checks, filing, putting packets together for marketing mailers, color stories, phones, computer work, etc. CENTRAL AVENUE RESIDENCE A five star home addition. Sections through new addition and construction. This project is an addition to a classical mid-century residence built to design from Better Homges and Gardens â&#x20AC;&#x153; Five Star Home #2807â&#x20AC;? from 1958. The house has remained in the family of the original owner and is now being reinterpreted for contemporar needs. A simple new volume hovers over the arport and is designed to complement the proportions and horizontal orientaion of the original. During the design of theis project, several balances needed to be maintained, including mid-century versus the need for privacy. For this project I produced diagrams and architectural plans, seections and details for a construction set, as well as renderings of the addition. Software used included, Revit, AutoCAD 2016 and Adobe CS. A window to wall detail. Rendered view of addition from across the pond. The Arctic Playhouse is a community theatre organization who recently purchased a historic commercial building at the heart of Arctic Village. This former retail building will be transformed into a 200-seat proscenium-stage theatre with a bar and cabaret, a multipurpose event space, and staff offices. accessibility, includes benefits and upgrades for patrons and performers, will allow space for theatre education, positively influences the economy of Arctic Village Main Street, and establishes new and sustainable revenue sources for the playhouse. Diagram showing floor cutout and reopened storefront windows. Section showing the approximate theatre layout. Rendering of restored storefront windows. Looking into theatre from balcony. work. A first phase of construction accommodated artistsâ&#x20AC;&#x2122; studio spaces, and DUALâ&#x20AC;&#x2122;s exterior designs have made the building eligible for $500,000 in historic rehabilitation tax credits. Entering lobby from main entryway. Like a water moving up a the a strand in celery. â&#x20AC;&#x153;DEWplexâ&#x20AC;? was completed in collaboration with Hanson Cheng for the Evolo Skyscraper competition in 2015. Desertification occurring in arid regions around the world affects an estimate of one third the worldâ&#x20AC;&#x2122;s grasslands. Defined as a process of rapid land degradation in sub-arid, semi-arid and arid regions, desertification plays a critical role in many pressing world issueus including climate chage, water issues and food insecurity. With inevitable climactic changes, suffering ecosystems and growing populations around the world, the objectives of this proposal are 1. to create an ideal environment for the generation of restorative agricultures; 2. to produce fresh water using seawater and sunlight as the primary resource; and 3. to abate the process of land degradation. These objectives are achieved by using the natural environment and seawater greenhouse technologies in a skyscraper. Capillary action is a phenomenon associated with surface tension and resulting in the elevation or depression of liquids in capillaries. This process takes its form in the core of the DEWplex where seawater is pumped up into the skyscraperâ&#x20AC;&#x2122;s DEWpods. As water is transported in the vegetative canopies and experiences increased temperatures, the plant bodies then release water molecules or dew through its surface. This is transpiration. Water flowing through each DEWpod is heated by solar radiation and evaporated creating a hot humid climate in the DEWpods. Wind carries the hot humid air through the greenhouse to the core where it makes contact with wall with flowing cooler deep-sea water, allowing transpiration to occur in the form of condensation or dew â&#x20AC;&#x201C; a freshwater resource - on the surface of the wall. These created climates in the pods stimulate growth in various vegetative plants while also producing freshwater resources to may be collected and used throughout DEWplex. As modular building system, pods may be aggregated to expand or extend spaces. Flow of water and production in DEWpods. Flow of water and production in DEWpods. As DEWplex grows and aggregates the structure releases humid air into its surrounding environment lost by ventilation. The exhaust air is carried downwind providing a potentially beneficial condition allowing cultivation of crops and vegetation. Our vision of DEWplex imagines a complex of greenhouses that replenishes natural resources and abates the rapidly growing rates of land degradation, while also creating a vertical community for researchers and visitors. As DEWplex further expands cultivation of the surrounding landscape may begin a process of healing and restoring decertifying and degrading landscapes. SCULPTURAL SHELLFISH HABITAT PROJECT Like bubbles along the rim of a tub. collected data at the designated site and co-lead a building workshop with the Providence Youth Leadership School. Although the designs were still prototypes, it as important to our team to engage the community and build advocacy for what these sculpture could potentially do . Since the project began six prototypes have been deployed at the India Point Park Cove in Providence, Rhode Island, and are being monitored from strength, cultivation and engagement. Mixing concrete mixture for platter prototype. Rendered view of prototypes in India Point Park Cove. By 2100, the sea level in Rhode Island is expected to rise 3-6 feet above the 1990 levels. Threatening Providenceâ&#x20AC;&#x2122;s coastal landscapes, this rise in sea level could cause degradation along the waterfront and impact coastal and urban conditions. While this threat could leave to the degradation of urban conditions and human habitat, it also provides a possible resilience for our cities and non-human inhabitants. There is a resilience in degradation. Although not immediate, architectural structures can serve as a mediator for ecological remediation. My thesis explores tide pools as a mediator that is allowed to degrade into rising tides through a constructed tide pool. Serving a monitoring station, the tide pool provides a framework for ecological remediation, while also providing protection against possible f lood surges and inundation. I began by first exploring degradation. As degradation is defined as the condition or process of degrading, I attempted to develop a record of this process. Working with wood, concrete and ink I exposed each material to an erosive agent. The wood blocks were exposed to fire; concrete to water; and ink to paper. With time the erosive agents were extinguish resulting in a change in each materials physical properties. The changes noted include changes in the material surface, material appearance and material strength. However changed, these transformations exposed the various opportunities these materials could have over time. This, in turn, became the narrative to this thesis. Studies exploring fill and transference of information via water, ink and paper in a vessel. Embedded along the East Providence, Rhode Island coast line, this landform - a large tide pool - is a constructed parkscape and water monitoring point that provides an opportunity to engage rising sea levels and developing aquaculture. Tidal pool submerged from high tide. Studies of Bold Point Patk topology and current water used to inform placement of tide pool. Ariel view of tide pool and existing salt marsh. Overlay with sea level rise. The hard edge reaches out toward the water, breaking the ebb and flow. Reflecting the cove opposite-north, the hard edge creates an artificial cove condition catching the high tide waters. With each length of the tide cycle the pool is renewed. Gravel beds and gabion walls staggered through the pool capture remnant soil and material providing various settings for flora and fauna development. Looking toward East Providence from tide pool. INFILTRATION : EXFILTRATION Like a sponge soaking in water Located on a potential f lood zone, Infiltration : Exfiltration deploys a number of urban and ecological strategies to direct the overf low of water and to create a stronger connection to the existing urban grid. The project consists of four programmatic elements: 1. Commercial shops and grocers; 2. Brew house and restaurant; 3. Residential apartments; and 4. Rain gardens. Together, these programmatic elements provide the potential for economic growth and urban development while also accessing the potential needs of the occupants. Map depicts designated floodway. CSOs are located along floodway. Map depicts areas along the Boston harbor that may be impacted by a tidal surge during a flood. Entering site along Southeastern road. Initial analysis of the urban fabric and surrounding typology is used to develop a typology for the project. Streets are pulled out towards the waterfront to define access, and dense rows of multifamily homes are reinterpreted as bars to define the new residential apartments. Small businesses blocks become the foundation on which the project builds upon. Moving towards the water, the structure steps down and opens to the industrial riverfront. View from living space into kitchen. Typical one + two bedroom plan. Image 5.c: Elevation from south end. Southern approach, looking towards riverfront. RHIZOME Stems from a root Downtown Providence, Rhode Island is the result of filling and alterations of the Providence River over time. Once known as the Great Salt Cove this intertidal river bed and salt marsh f lourished with vegetation supporting marine life, water quality, and habit while also providing a natural buffer during storms and f loods. Construction and development over time has led to the lost of natural habitats and a decrease health of soil and water. Rhizome proposed landform architecture located along the previous location of the I-95 corridor which aims to connect Providence, Rhode Islandâ&#x20AC;&#x2122;s parks and green spaces, restore lost salt marsh conditions to the river. Doing so promotes rehabilitation of lost natural habitats and remediation of soil and water quality. Site Plan. Rhizome uses existing pilings as structure to cross Providence River. Image 4.a: Habitat studies on peregrine falcons. Image 4.b: Habitat studies on ribbed mussels. Two non-human species this project focuses on are the peregrine falcon (falco perenigus) and the ribbed mussel (geukensia demissa). These two species are native to Rhode Island and have an established presence in the city. The peregrine falcon is a migratory raptor known to nest in the cityâ&#x20AC;&#x2122;s taller buildings and forested areas along the coast. Preying on rodents, small birds, and fish, they provide a natural source of pest control Ribbed mussels can be found in intertidal zones along the Providence river and coastal edges of the Narragansett Bay. They are known filter feeders that contribute to the improvement of water quality and coastal edge. Life cycle and habitual studies on peregrine falcons. Life cycle and habitual studies on ribbed mussels. MY MOLESKINE In plus or minus ten. The following pages document as series of quick sketches made during my travel through Rome and Barcelona. As a practice, I tried to spend a few minutes to capture moments in my travels. The sketches are intended to be quick and fun as I moved through the city. Sketch of view from Chiesa di San Pietro in Montorio, 2014 Aug 2. Sketch of the Spanish Steps, 2015 Aug 06. A line, a pleat, a dress. With a single sheet of silk I gave myself the task of designing a dress with a simple architecture. Wanting to avoid an intricate pattern I explored draping methods and seam placements. Spaghetti straps are then attached allowing the form to drape from the shoulders. With an optional waist tie, the dress hangs loosely from the shoulders. Sketch of selected draping methods and seam placements. Tasked with the challenge of designing an object that could be passed on from one generation to the next. I designed and built a furniture piece that would house precious heirloom necklaces worm at Hmong traditional gatherings and events. The boxes that make up the credenza are constructed from three carefully selected slabs of American black walnut. After milling the walnut slabs, the pieces were bookmatched to accentuate the contrasting heart wood and sap wood in the walnut. Similarly, the drawers are made from quarter-sawn maple to continue the language of linearity in the wood. Detail images of drawers and joinery. WIND TIME When it is seems still, it sways ever so lightly. When it seems silent, it whispers ever so quietly. Digram of PARK(ing) day activity zones. Photos from PARK(ing) Day instailation. PUBLIC PLAZA 741 DEXTER STREET Central Falls Design/Build In a six-week partnership between the Rhode Island School of Design, the Pontificia Universidad Javeriana, and the city of Central Falls, students and directors collaborated on the design and construction of of a public park and plaza. The site, located at 741 Dexter Street, will transition from public parking lot to a destination for Central Fallsians of all backgrounds. As member of this team I managed community outreach and social media, provided graphic designs as needed, and assisted in brick laying of the plaza. Plan of pavilion and trellis. Past, Present, Future. Southlight: Light, City & Community was a two day lighting installation. The project was installed in the Grace Church Cemetery and welcomed the public for a light display that representing the past, the present and a potentially brighter future for the cemetery. The installation included an interactive light display, activities for children and refreshments in the caretakerâ&#x20AC;&#x2122;s cottage on the premises. As a team our studio met and worked with the neighborhoodâ&#x20AC;&#x2122;s businesses and residents to find out what ideas and concerns about the cemetery existed. With that in mind, the class worked in teams to proposed several ideas for installations, finally distilling their work into one unifying concept. I largely worked on developing the project identity and managed community outreach. Following the installation, I worked with Elettra Bordonaro to develop a proposal for the PopUp Providence Competition. to extend the installation. Working with representatives in the Providence community we developed an proposal that engaged the community members in developing green spaces, an outdoor performance space for local fringe theatre, and lighting of the trees. This would later inform the next phase of SouthLight. Rendering of lit pathways. Meeting with RISD Public Affairs and outreach to discuss SouthLight. Installing paper lanterns along designated pedestrian paths. Main pathway in cemetery light by paper lanterns. Path lighting leading to designated seating area. Group gathered around a designated seating area with an illuminated panel. SouthLight is a temporary lighting installation born out of the Rhode Island School of Design’s urban interventions studio “Light, the City and the Community.” The studio was led by Social Light Movement cofounder Elettra Bordonaro. Students participating in the studio were provided with the opportunity to (1) learn about lighting design as a means of engaging with and intervening in an urban environment, (2) participate in different activities with partners and community members. With the support of partners – Stop Wasting Abandoned Property (SWAP), Grace Episcopal Church, the City of Providence – and donors – Philips Color Kinetics, Residential Properties, ATR Treehouse, Waterfire Providence, National Grid – and other Providence groups and organization the group was able to complete the first installation of SouthLight in February 2014. Our project intends to create a PopUp Installation comprised of gardening workshops, theatrical events, and a lighting installation that will serve the South Providence community. Our objectives are: • Establish a donation network of designers, developers, and local organizations. • Open a dialogue with the South Providence community about its potential green spaces. • Begin connecting the art and programs throughout Providence with the South Providence community • Establish a means of lighting the cemetery. • Raise awareness and bring attention to the issues, changes, and developments. • Raise additional funds through fundraising activity. Our goal of SouthLight is to engage the community in the rejuvenation of the Grace Church cemetery through hands-on gardening workshops, performances by the local artist community, and temporal lighting installations. The installation is meant to provide an opportunity for community members and organizations throughout Providence to collaborate and envision ways we collectively rejuvenate and reclaim the cemetery as a community space. This plan has been developed to present SouthLight to prospective partners and supporters to assist in obtaining resources and funding for the planned events and installation. Should SouthLight be able to complete a PopUp Providence installation, SouthLight will be awarded up to $10,000 covering up to 80% of the project’s requirements. To raise funds and resources for the remaining costs, SouthLight will conduct kick-starters, fundraising and has pursued in-kind donations. In SouthLight’s first run, students designed and built a temporary installation with a concept to honor “the past, the present and the future” of the cemetery. Drawing upon the historical aspects of the cemetery and the community’s desire to reclaim and rejuvenate the space the installation used lights to illuminate a path, connecting to a select group of headstones and nearby trees. 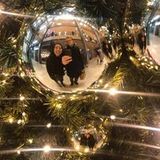 SouthLight is a project that stemmed from the collaboration between students at the Rhode Island School of Design (RISD) and Social Light Movement co-founder Elettra Bordonaro. It aims to design and build a temporary lighting installation at the Grace Church Cemetery. The lighting installation’s emphasis is on rethinking the cemetery as a community green space and park, engaging the community and bringing light to the Cemetery. With this, we hope to assist the community in reclaiming and rejuvenating the cemetery as a public space. SouthLight is a temporary lighting installation born out of the Rhode Island School of Design’s urban interventions studio “Light, the City and the Community.” The studio was led by Social Light Movement cofounder Elettra Bordonaro. Students participating in the studio were provided with the opportunity to (1) learn about lighting design as a means of engaging with and intervening in an urban environment, (2) participate in different activities with partners and community members. With the support of partners – Stop Wasting Abandoned Property (SWAP), Grace Episcopal Church, the City of Providence – and donors – Philips Color Kinetics, Residential Properties, ATR Treehouse, Waterfire Providence, National Grid – and other Providence groups and organization the group was able to complete the first installation of SouthLight in February 2014. Our goal of SouthLight is to engage the community in the rejuvenation of the Grace Church cemetery through hands-on gardening workshops, performances by the local artist community, and temporal lighting installations. The installation is meant to provide an opportunity for community members and organizations throughout Providence to collaborate and envision ways we collectively rejuvenate and reclaim the cemetery as a community space. This plan has been developed to present SouthLight to prospective partners and supporters to assist in obtaining resources and funding for the planned events and installation. Should SouthLight be able to complete a PopUp Providence installation, SouthLight will be awarded up to $10,000 covering up to 80% of the project’s requirements. To raise funds and resources for the remaining costs, SouthLight will conduct kick-starters, fundraising and has pursued in-kind donations. The specific dates for the development of this project will be defined based on the ongoing applications with PopUp Providence. The estimated time of execution is 3 Months (from May through July that will be organized in the following stages: Local Support: Crowd funding: We will be looking at methods of raising funds for the project to start immediately. With a kick-starter we hope to raise money to contribute to the project. Sponsorship: We will reach out to private sponsors. • We are in contact with National Grid negotiating support and sponsorship for running power and electricity to the cemetery. Local Collaboration: For a month we will continuing outreach in the South Providence community and organizations for collaboration. In this local research we will work with groups in the South Providence area. Through this we will strengthen a connection with agents and possible collaborators in the community. • We are working with the Wilbury Theatre Group. • We are speaking to Grace Episcopal Church and Residential Properties about using the cemetery as the location again for this installation. • We are working with SWAP to reach out to community members Door-to-Door: To engage community members and encourage involvement, we will collaborate with the local community. Linda Weisinger, Deputy Director lweisinger@swapinc.org Stop Wasting Abandoned Property. SWAP, Inc. is a private non-profit community development corporation committed to providing affordable housing opportunities for persons of low and moderate income; revitalizing urban neighborhoods and building new communities. Joshua Short, Founding Artistic Director josh@thewilburygroup.org Wilbury Theatre Group. The Wilbury Theatre Group is an ever-evolving collaboration of artists committed to creating the highest quality professional theatre. Founded on the belief that quality theatre should be an affordable and accessible means of enrichment to the community; The Wilbury’s strive to create work that will simultaneously engage, inspire, and provoke-thought among audiences. The Reverend Canon Jonathan Huyck jhuyck@gracechurchprovidence.org Polly Dally, Board Member polly.daly@gmail.com Grace Episcopal Church. The parish is one of a handful of churches in the Diocese of Rhode Island that has experienced the excitement of growth and the powerful changes that come with it. Elettra Bordonaro, Cofounder elettra.bordonaro@gmail.com Social Light Movement. The Social Light Movement is a philanthropic movement and has been founded in order to create a network for lighting designers and other interested parties to collaborate on the issue of improving lighting for people: particularly those who are unlikely to have access to good quality illumination within their environment. A selection of work in architecture and design.